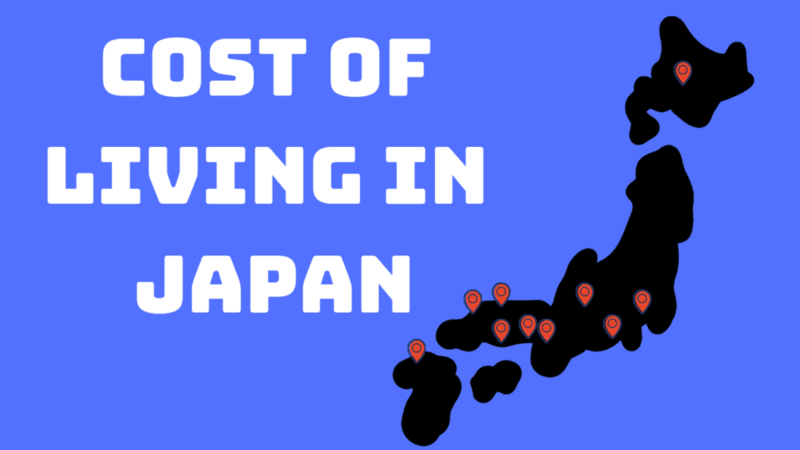 So you want to move to Japan but have no idea about living expenses or cost of living in Japan? Especially utilities and such. 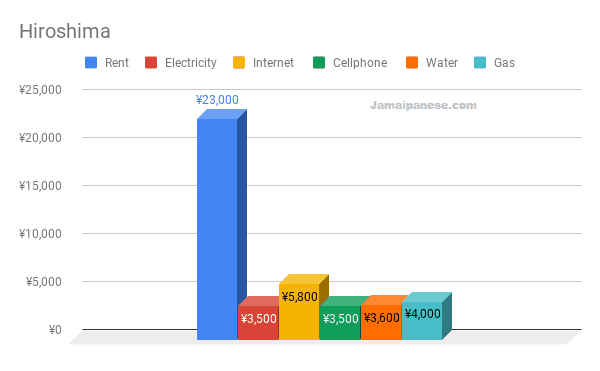 This post will share utility and rent costs in different prefectures and hopefully, it will be useful. 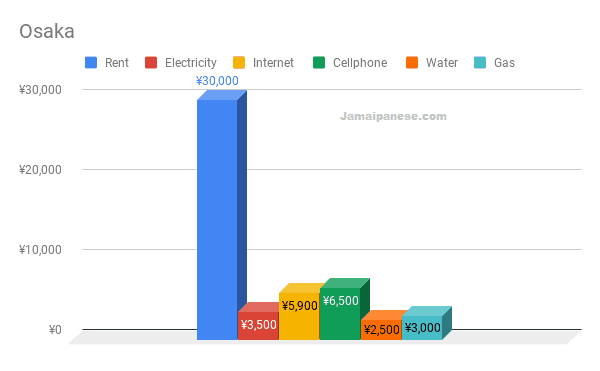 TL;DR: I share the averaged utility and rent costs for 10 Jamaicans living all over Japan in an effort to compare living costs and give an idea of some of the costs related to living in Japan. 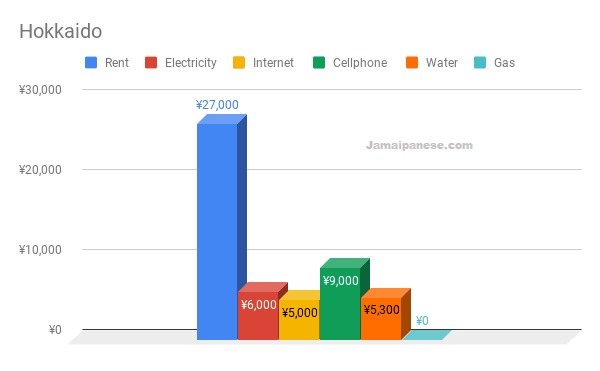 Costs will also vary due to usage habits, size of apartment, lifestyle and more. 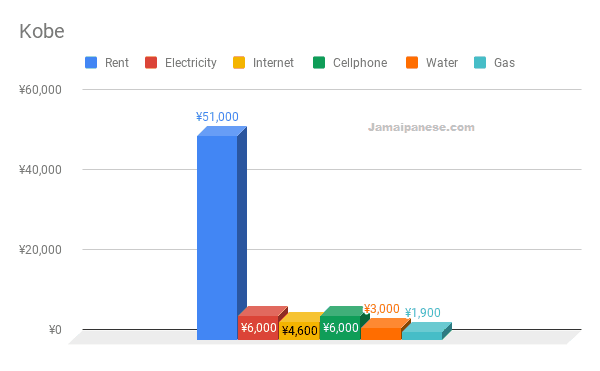 Understanding, comparing and estimating the cost of living in Japan is very important if you hope to move to Japan in the future, move within Japan or just to see how your costs stack up to others. 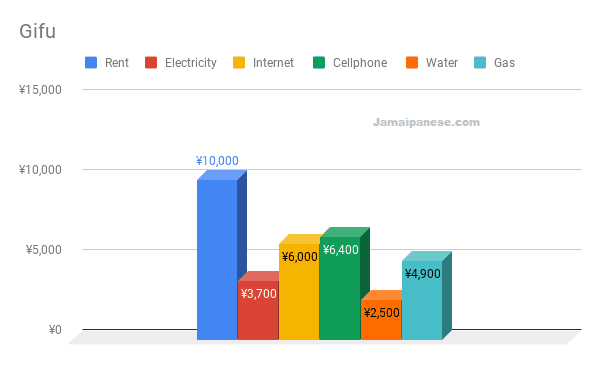 Cost of living varies widely depending on lifestyle, the prefecture, the time of year, size of the apartment, the country you are from and more. 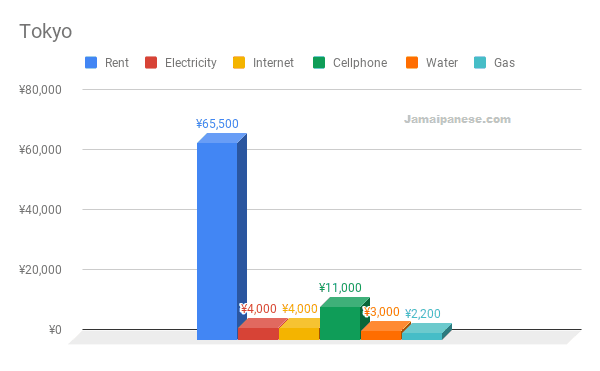 I thought about how I could share some useful information about living in Japan and decided to focus on the cost of utilities and rent. 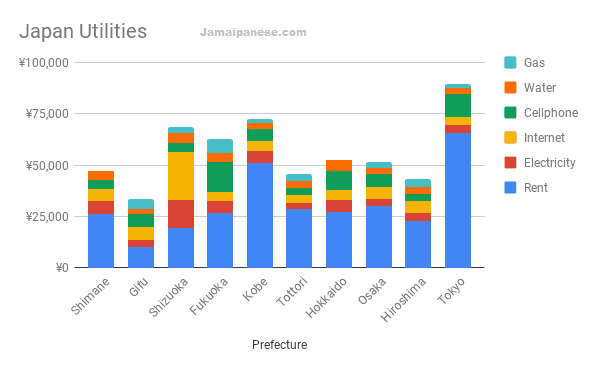 I feel like a large percentage of English-speaking foreigners living in Japan came here as ALTs – some branched off into other industries, some remain as ALTs and others will stay for a couple of years then return to their home countries or another destination. I myself came to Japan as an ALT on the JET programme. 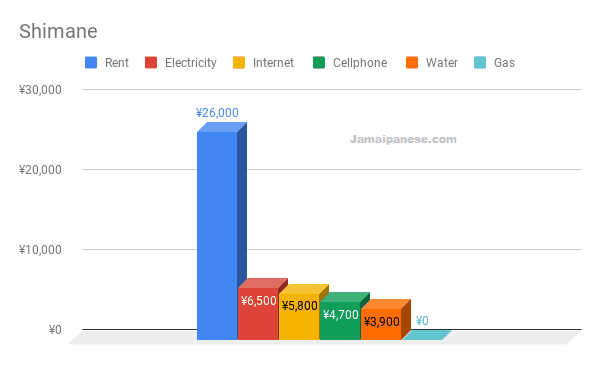 I thought that it would be interesting to compare the big 5 utilities (Water, Electricity, Phone, Internet and Rent) to see how they differ depending on where in Japan you reside (and of course your own lifestyle and usage habits). 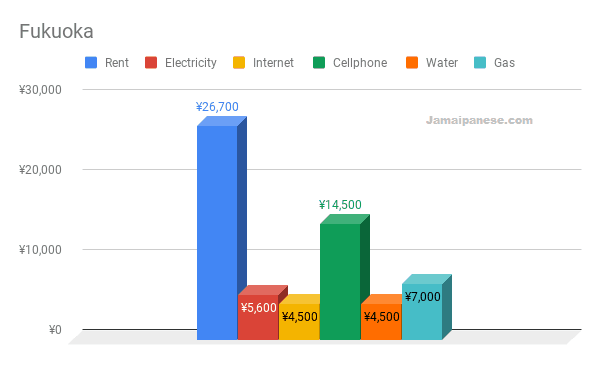 Including myself, I managed to get 10 data points from 10 different prefectures in Japan thanks to my fellow Jamaican Jet Program participants. 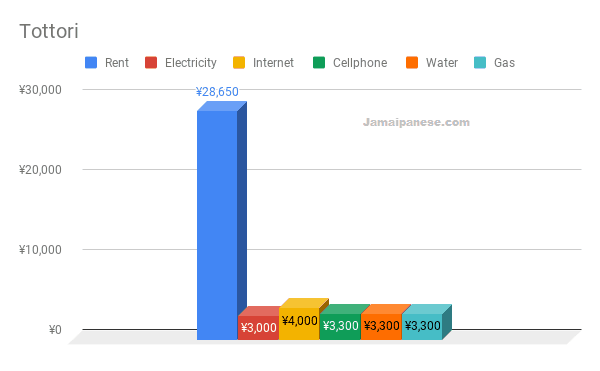 This data is averaged over one year. 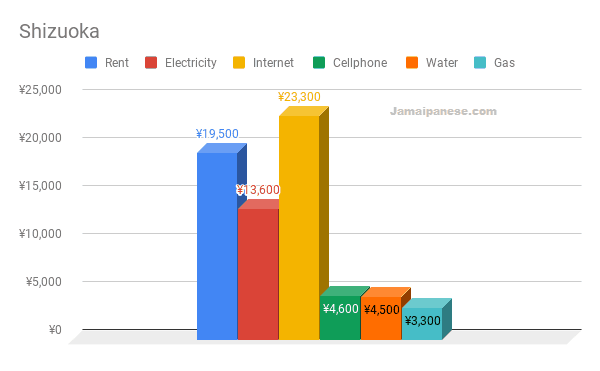 I am no statistician but I hope this data proves useful for those researching the cost of living in Japan. Feel free to tweet me @Jamaipanese or send me a message with your feedback or any questions.